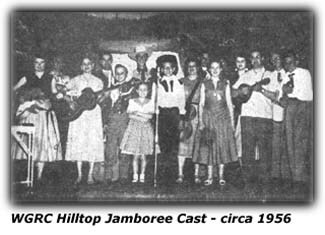 Every Saturday night at 7:30pm, folks in the Kentuckiana area would make their way to the Hilltop Theater at Frankfort Avenue and Pope Streets in Louisville, Kentucky to see the Hilltop Jamboree show hosted by Jesse Coates and Lucky Wright. 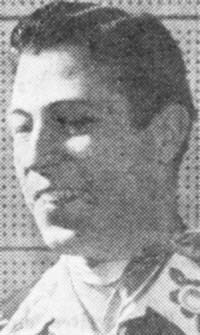 An article by Woody Grube indicates he was skeptical when first given the assignment to cover the show, but ended up being charmed by the group of entertainers he met. 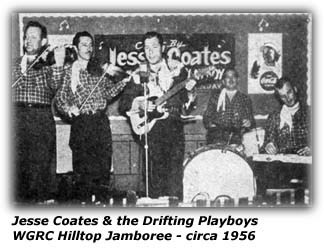 The star of the show was Jesse Coates, who had a hit recording of "My Heart Can't Tell a Lie" on the Acme label and later another called "You Gotta Be Good" b/w "Nobody Can Take My Baby" for Headline Records. Joyce Recording artist, Bob Roark was also part of the show, and had a record out at the time for them - "Love Commandments" b/w "Have A Talk With Your Heart". His contract got snatched up by MGM. 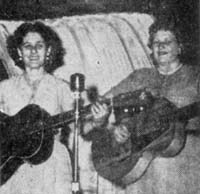 The show featured the female duo of the Hillbilly Sweethearts, Leatrice and Cecil. Then Mr. Grube mentions a fellow that he says added the "Ernest Tubb" touch to the show - Jiommy Settles and in addition to doing some of Ernest's tunes, "...pluck(ed) a mean guitar." The Drifting Playboys played accompaniment to the stars of the show as well as the range of guests such as Jimmie Osborne, Jimmie Skinner and others. Ernie Lee handled fiddle and used to play with Hank Williams. Roy Knight was on the steel guitar. Emmit Durm played lead guitar. Johnny Robinetta was part of the band it seems, but he failed to mention what he played.